What a polka party!!! Of course, I am talking about the big Oktoberfest yesterday at Sierra Nevada Brewery, Asheville, NC, my first time to visit (h/t Brent Hodgson). 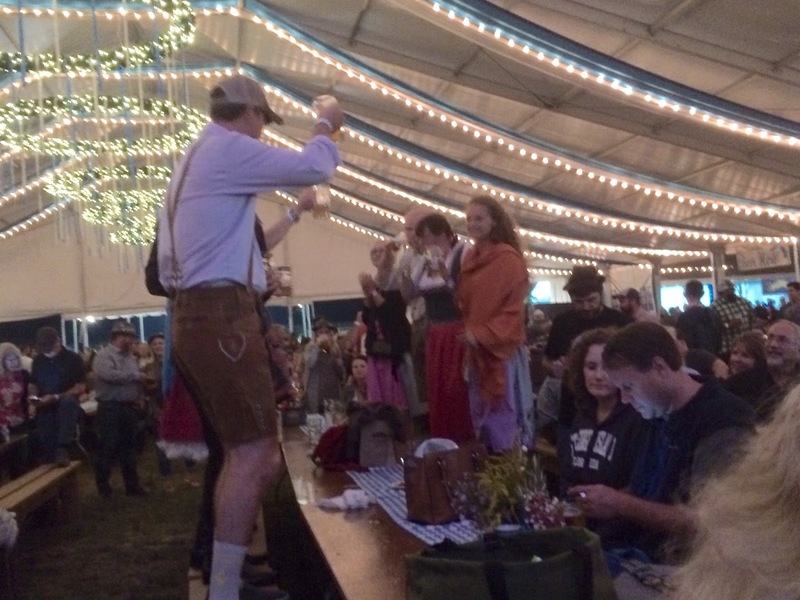 All you would expect from the Grossman family: plenty of good music, food, seasonally appropriate beers, all made for a very lively time with dirndls and lederhosen in abundance. Surprisingly, the event took place in tents in a large field below the actual brewery so we couldn't play bocce on their excellent courts, but it was truly a festival. Put it on your calendar for next year. Here are a few pics from the day; I actually was more of a participant this time, so there are not as many photos as I might have taken otherwise. Prost! Virginia Brewery Crawl, Part 1.